I love this Jodi, such a cute little elephant. Looking forward to hearing more about your book. Ok….Will wait to Ella becomes an adult, then I want to be on her campaign staff! She’s a winner!! You have me laughing this morning Jodi. You must have had fun writing this poem about Ella…superb! I really did, because this really is the real Ella to a T :). She will likely be President some day!! Adorable! Simply adorable! Your book is going to be so cute! Thanks Jenna – Maybe for the third book – if there is ever a third 🙂 I want this one to just be this particular bunch. I love the idea of a fox though!!!! Oh, I was teasing, but I do see foxes on everything these days! 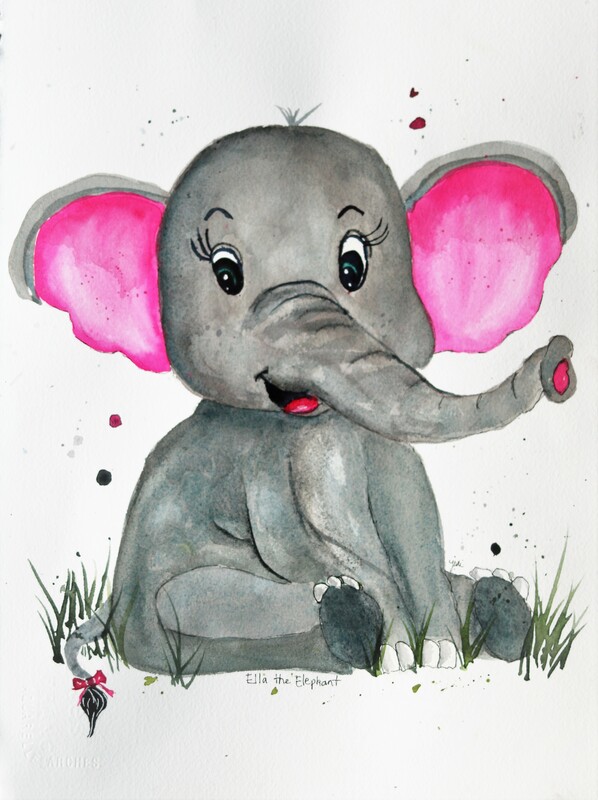 If someone had described, before I saw your wonderful water colour, an elephant as cute, I would have scratched my head at the odd way of describing a massive animal like that. ButJjodi, looking at your beautiful painting, I must admit your elephant is cute. Have a great day! You are always so kind. Thank you Peter. 🙂 Thanks Jill! She’s quite the young lady!! I am sure Ella would do by far a better job than our current president! I love her happy expression! This is one of your best yet, Jodi! Aww! Thanks so much Ann!! Ella the painting is great. So cute & lovable. The poem is very complmentary, the history behind it all is the heartwarming touch. Great job of love.